Hiker? Biker? Climber? Nature lover? Head to southeastern Oklahoma for your fill of outdoor fun. 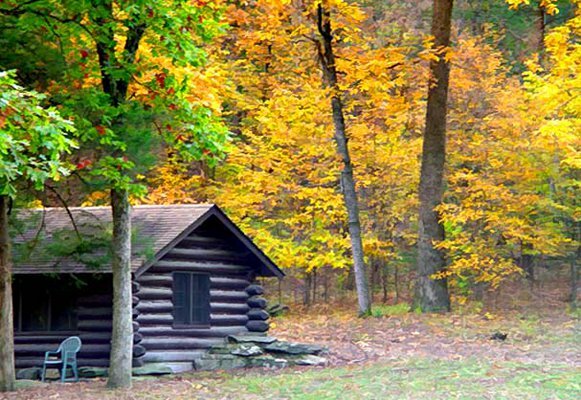 Beavers Bend State Park in Broken Bow features historic cabins built by the Civilian Conservation Corps. If outdoor adventure and good eats are your style, enjoy an authentic Italian meal on Friday night in Krebs, then spend the night at Belle Starr Lodge at Robbers Cave State Park, just a few miles north of Wilburton. On Saturday morning, explore the park, a favorite of rappellers, equestrians, hikers and other outdoor enthusiasts. You’ll find swimming, fishing, boating, hunting, trails for hikers and horses, sandstone cliffs for climbing and cozy cabins in addition to the lodge and campgrounds. Looking to mix a little romance with your outdoor recreation? Lake Wister State Park has the perfect recipe for fun and relaxation. Set in the scenic Ouachita Mountains – amid a dramatic backdrop of dogwood, shortleaf pine and eastern red cedar trees – Lake Wister State Park offers sporting enthusiasts some of the finest outdoor recreational opportunities in Oklahoma. This state park is also a relaxing and refreshing forest getaway that has 15 cabins with fireplaces where guests are invited to unwind. While in the area, you'll also want to visit Heavener Runestone Park. The star attraction at the park is a large stone tucked deep in a valley bearing a mysterious inscription that is believed by many to have been carved by Vikings. With its panoramic views, the park is a great spot to witness spectacular sunsets. Yet another great destination is Oklahoma’s “Little Smokies,” with towering timbers, crystal-clear waters and mountainous terrain that can be enjoyed at Beavers Bend State Park. Tee off for a game of golf or spend some time in the nature center. Swim, fish, hike or hit the lake for some water skiing. The blue waters of Broken Bow Lake provide a great backdrop for all types of water recreation including scuba diving. The blue waters of Broken Bow Lake provide a great backdrop for all types of water recreation including scuba diving. If family-style fun is what you’re looking for, make a beeline for Hugo. Have a picnic, go fishing, enjoy the swimming beach or relax while the kids spend time at the playground at Raymond Gary State Park. Hugo Lake State Park can accommodate families and groups of all sizes. This long-established recreation destination offers family fun, abundant fishing opportunities and spectacular sunsets. The park has 16 two-bedroom cabins, 10 primitive cabins (no restroom) and a 56-slip full service marina with ships store and pontoon boat rentals, as well as hiking, biking and nature trails. And don’t forget – Hugo is a haven for circus folk during the off-season. Visit the unique tombstones at Showman’s Rest, located at Mount Olivet Cemetery, and meet the Asian elephant herd at the Endangered Ark.